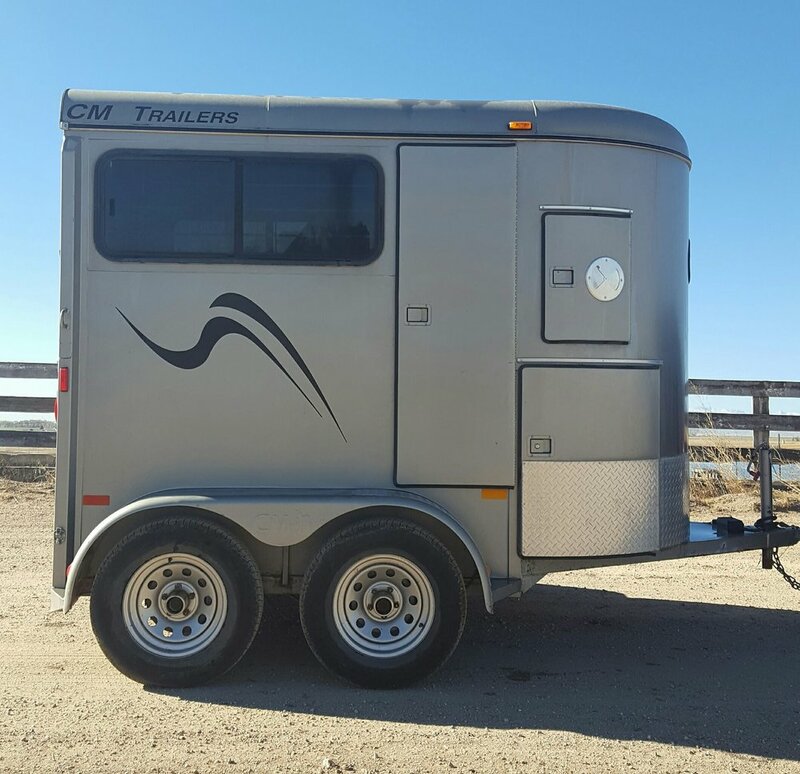 This 2005 Circuit Champ CM Trailers 2 horse straight load bumper pull will sell on November 12th in Castle Rock, CO at Horse Creek Sale Company! Trailer should sell between 11am-2pm. It has been very well taken care of, tires are in good shape, it pulls SOOOO smoothly! Floor mats are like new. Front tack compartment with bridle hooks. Center divider can be fully removed. No rips or tears in the screens. TALL - interior measurements - 82" tall, 68" wide, 77" long NOT including mangers (manger depth ads additional 40"). 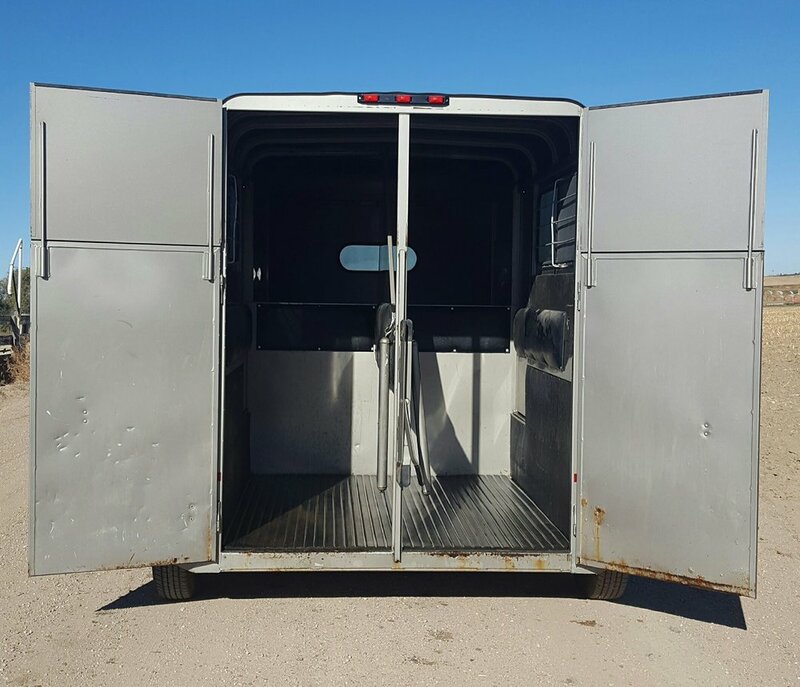 You have the option of taking the top half of the back doors off (simply slides in and out) if you prefer more ventilation. 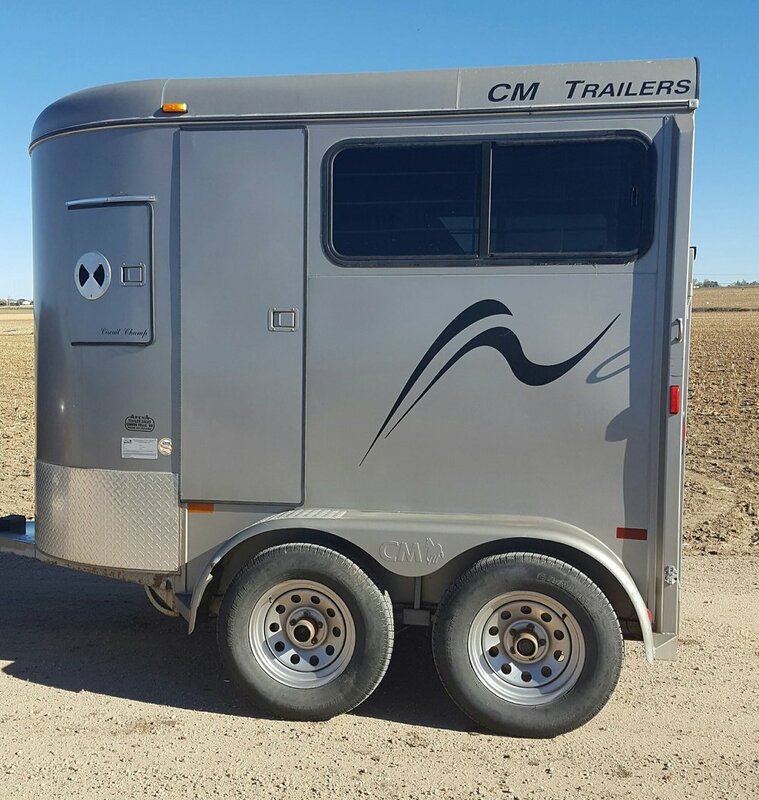 This is a CLEAN trailer, has been well cared for and does not have many miles! The family who owned it purchased a LQ shortly after they bought this one and it was not used much as a result. They have since moved off their acreage and into town and are selling their horses and trailer. CLEAN COLORADO TITLE!! Newer PostSaddles for November 12th! Older PostWestern Art Gallery Sale - November 12th!